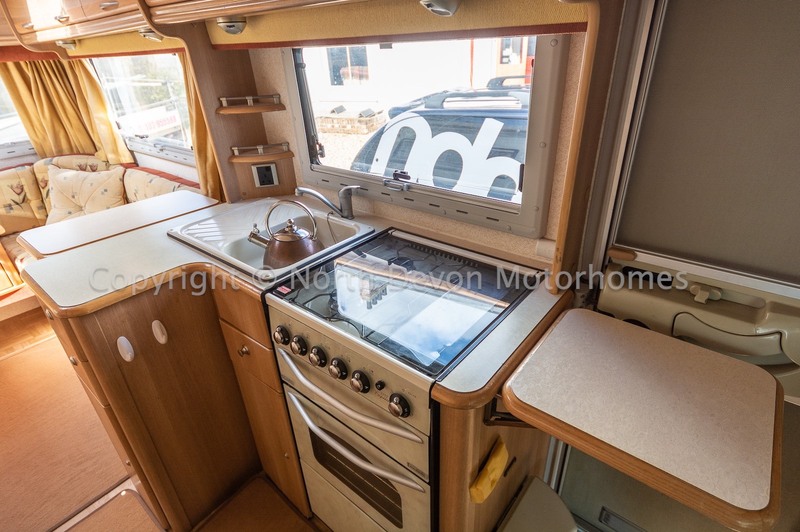 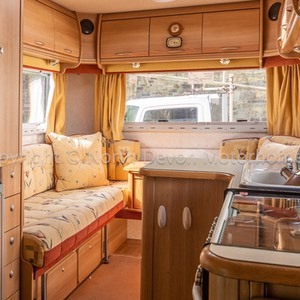 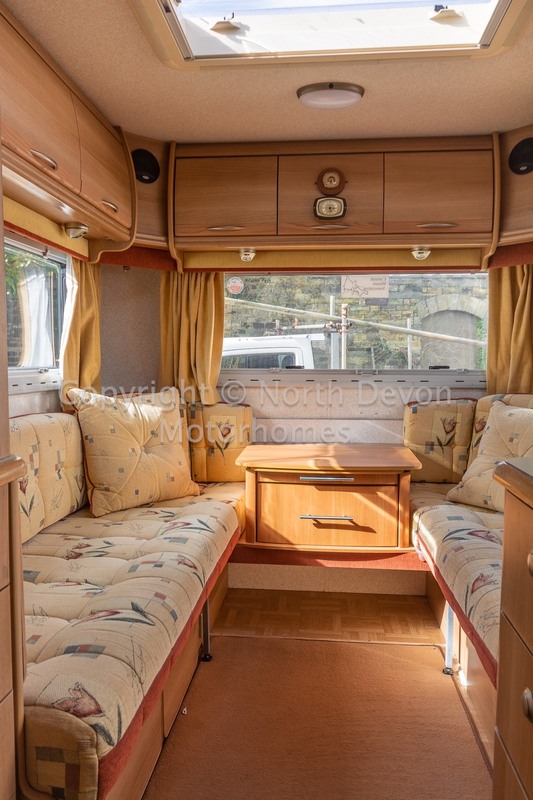 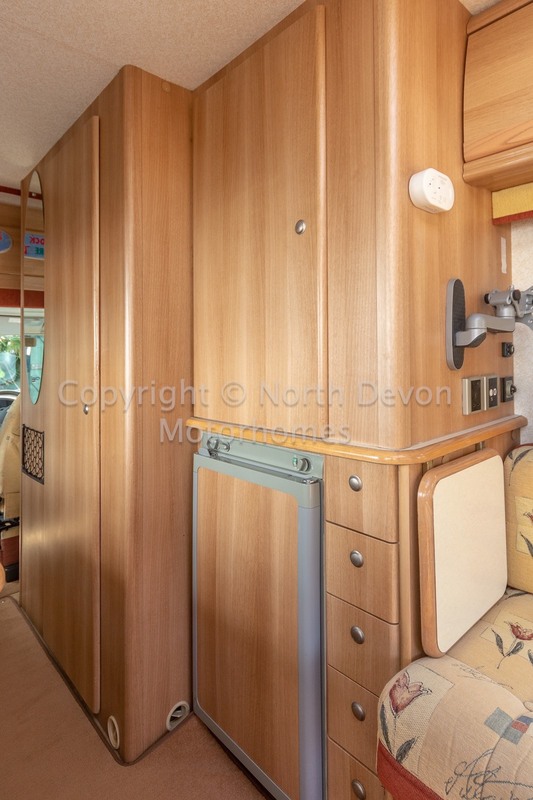 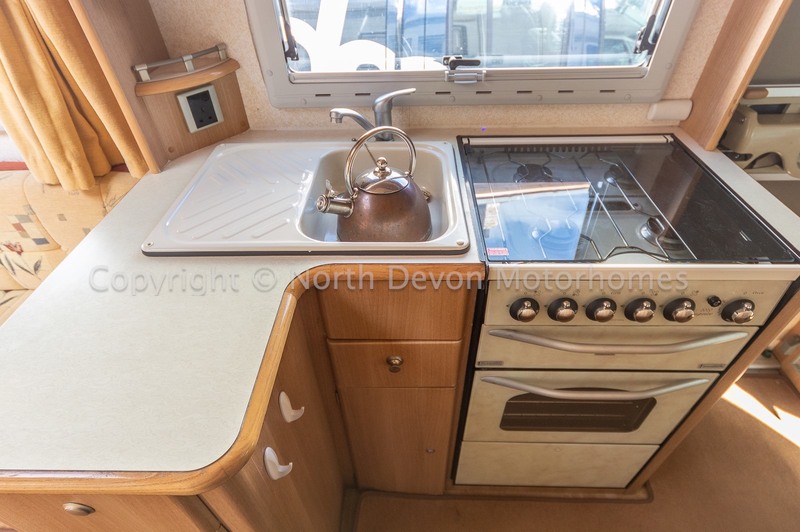 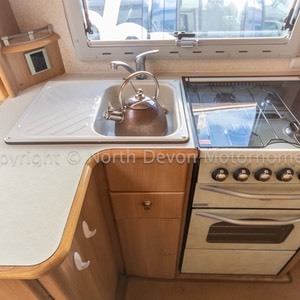 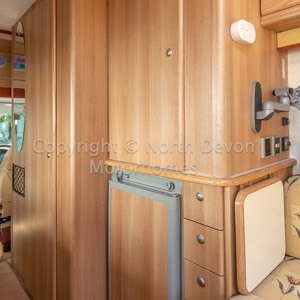 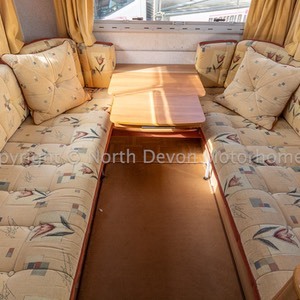 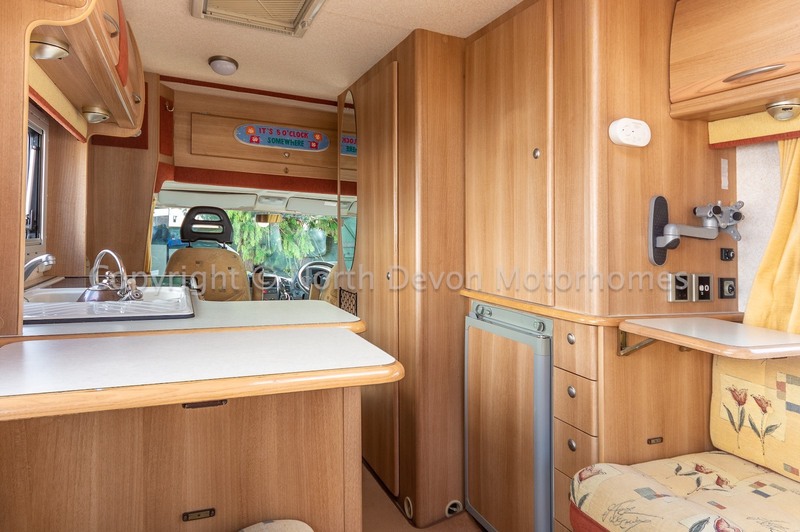 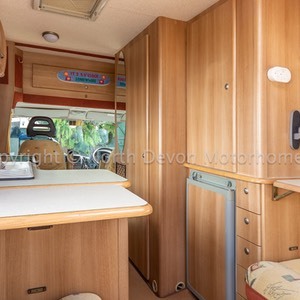 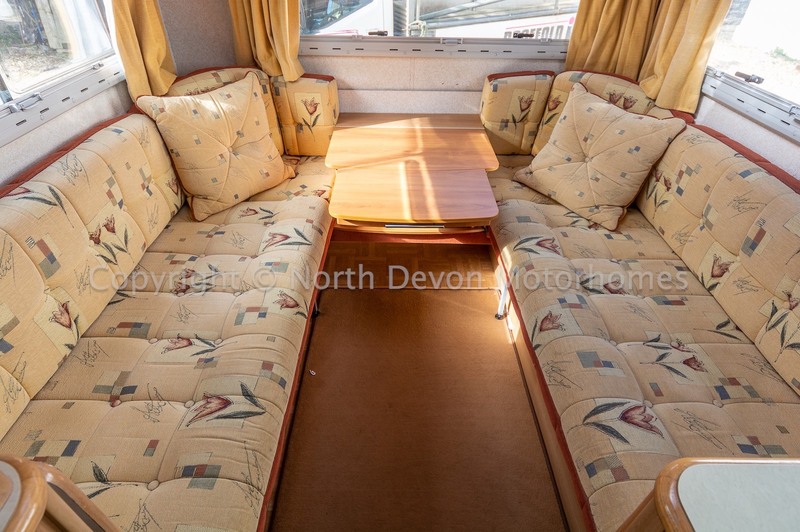 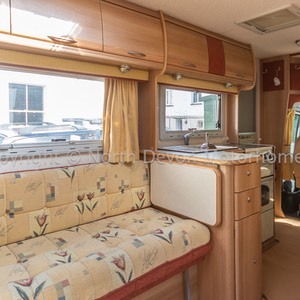 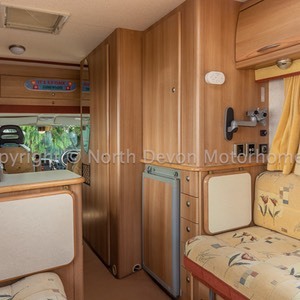 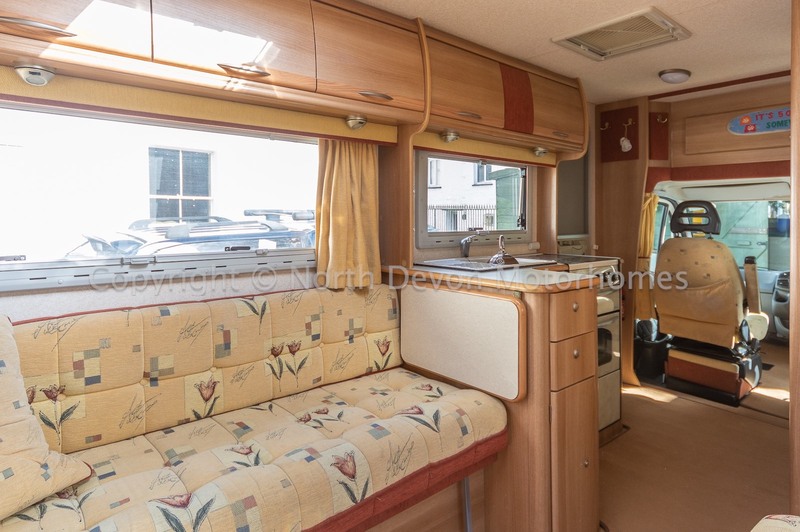 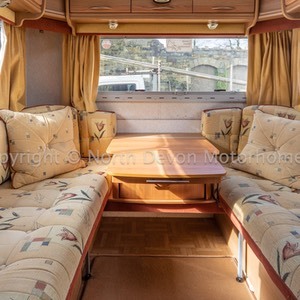 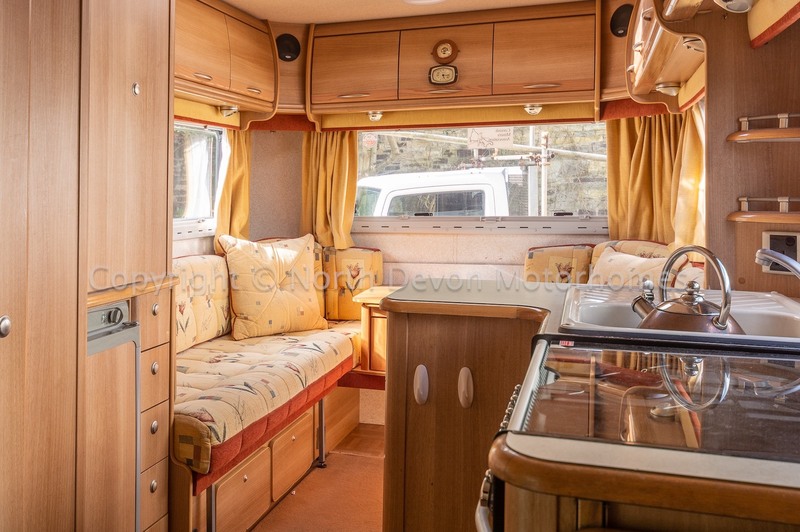 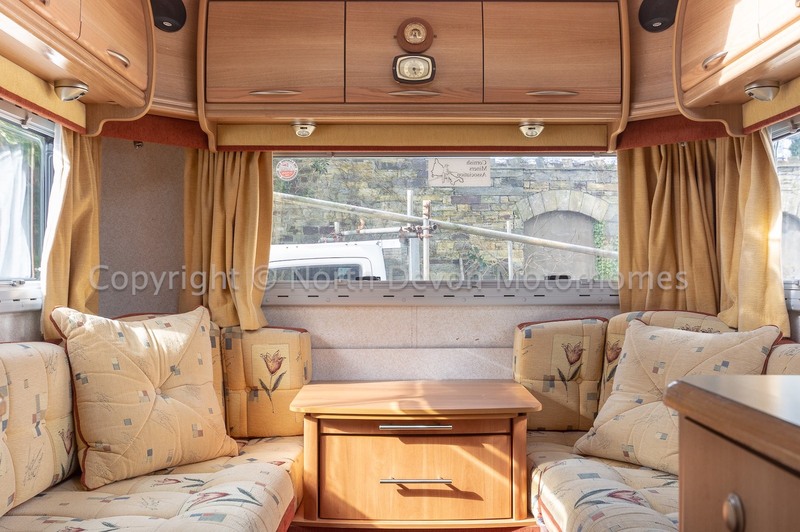 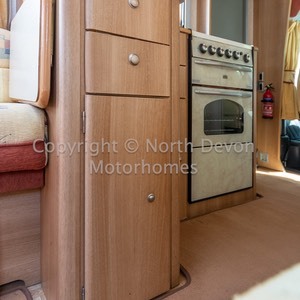 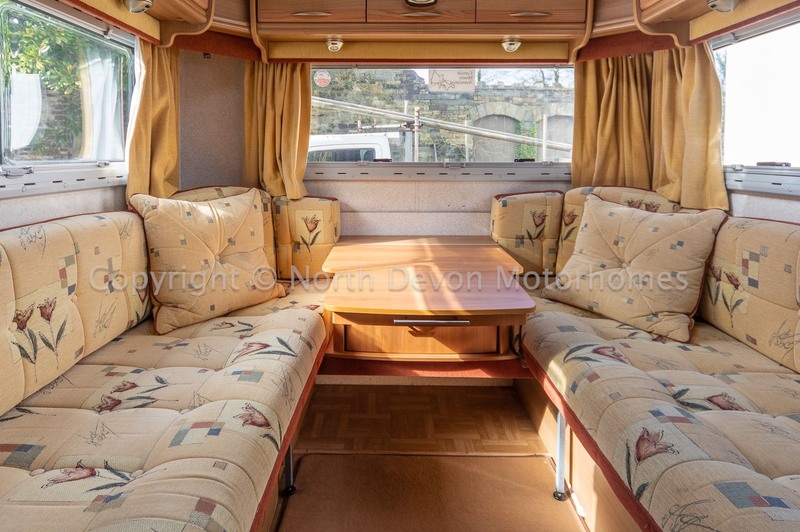 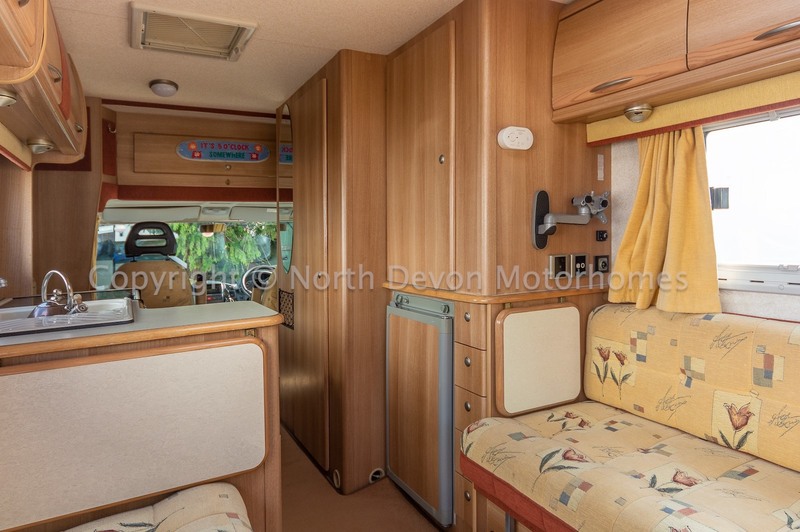 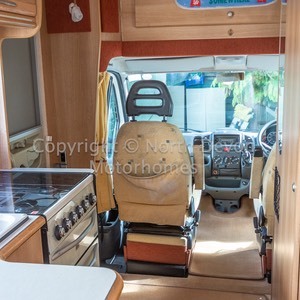 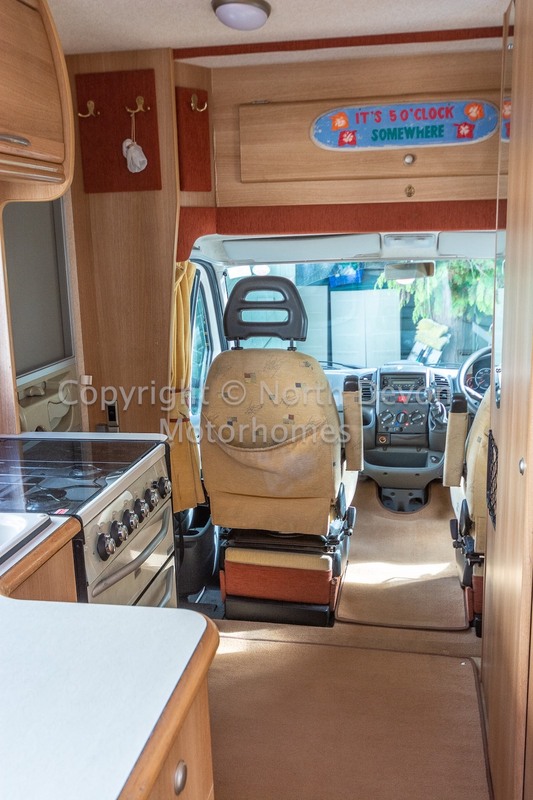 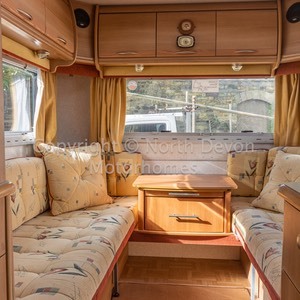 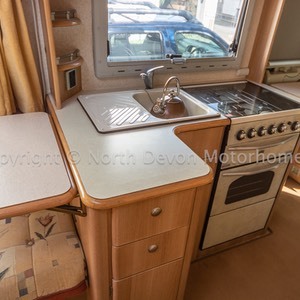 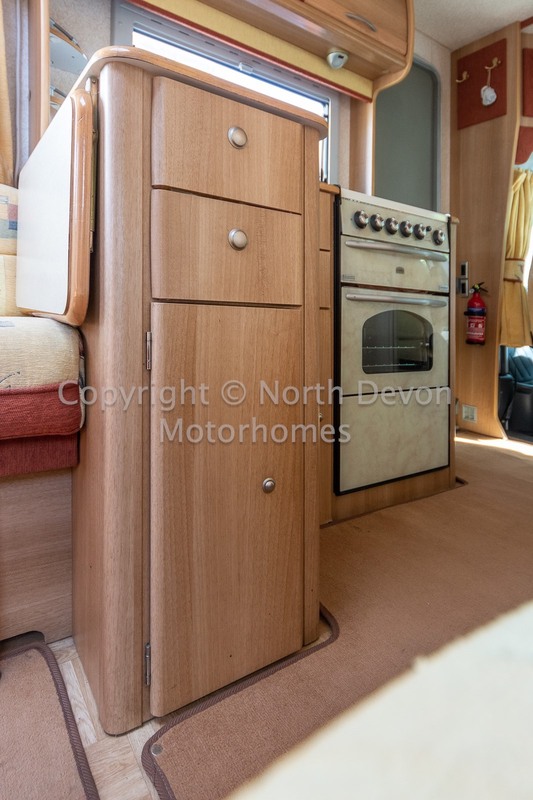 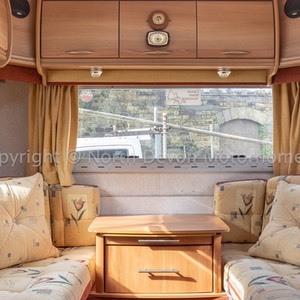 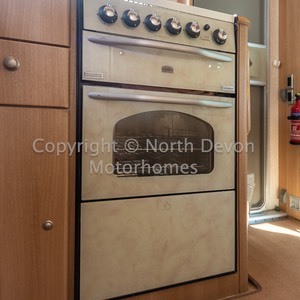 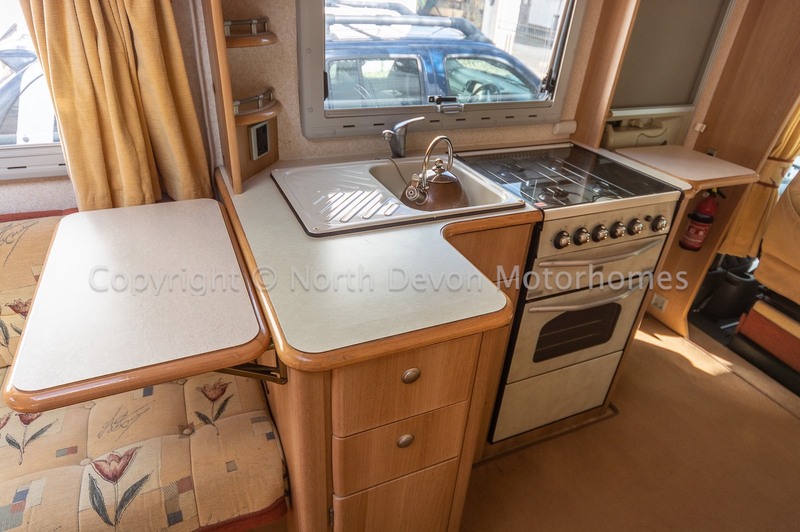 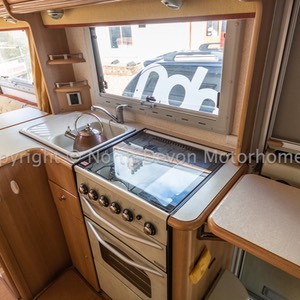 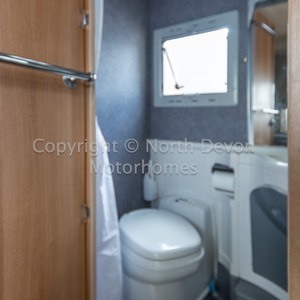 An extremely user friendly motorhome by reputable coach-builders Autocruise, 2 berth, favoured end lounge layout with centre draw chest, well appointed kitchen and washroom, ample storage. 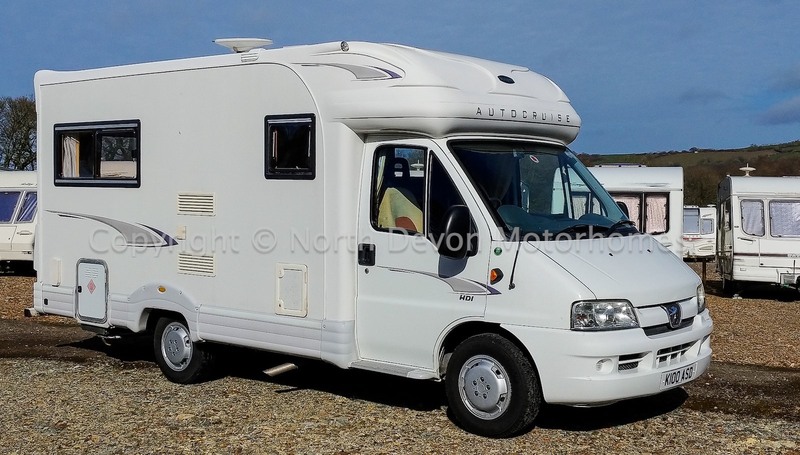 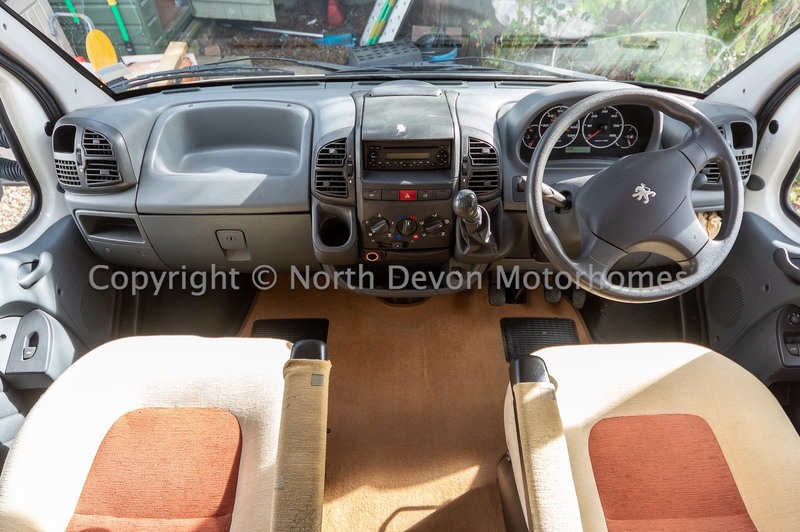 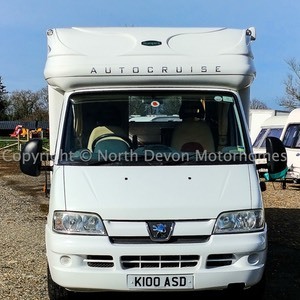 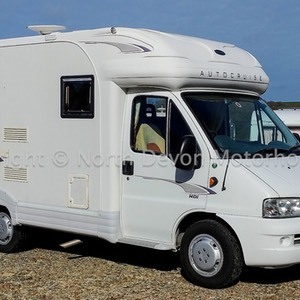 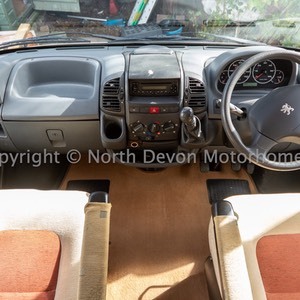 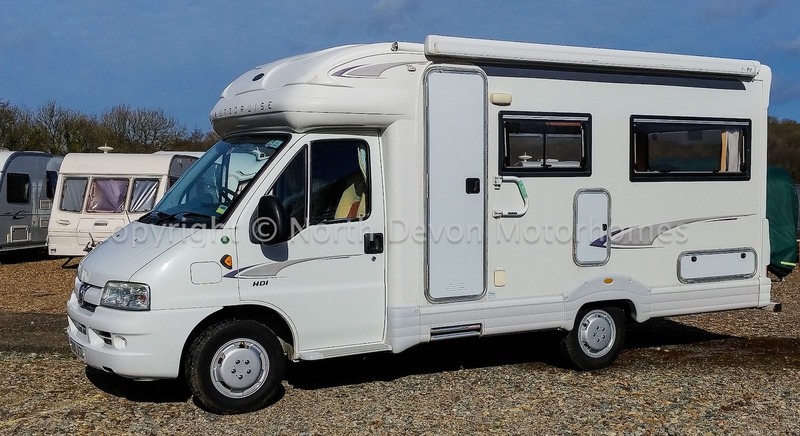 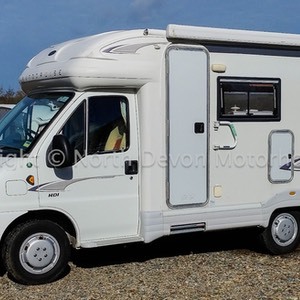 Based on a reasonable low mileage Peugeot Boxer 2.0 HDI with five speed gearbox. 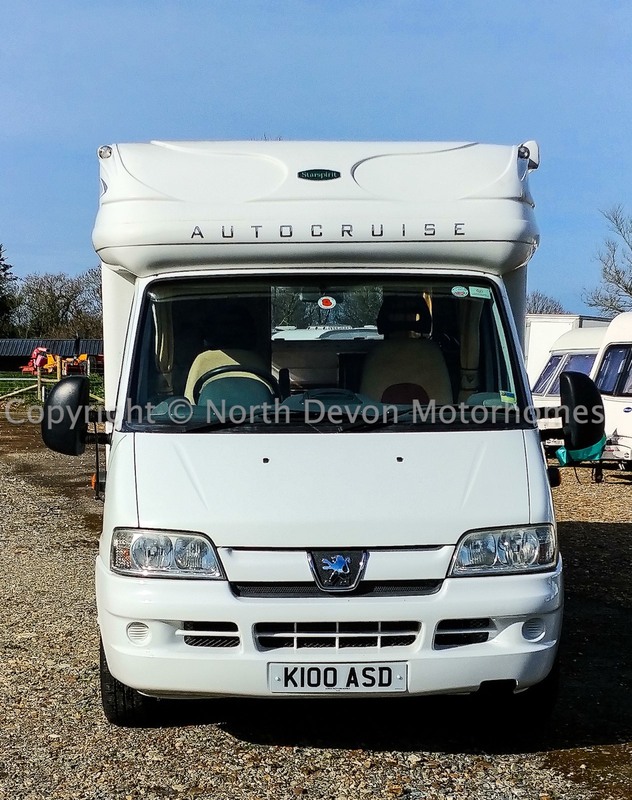 Peugeot 2.0HDi, PAS, Electric windows and mirrors, Stereo, Swivel passengers seat, Central Locking. 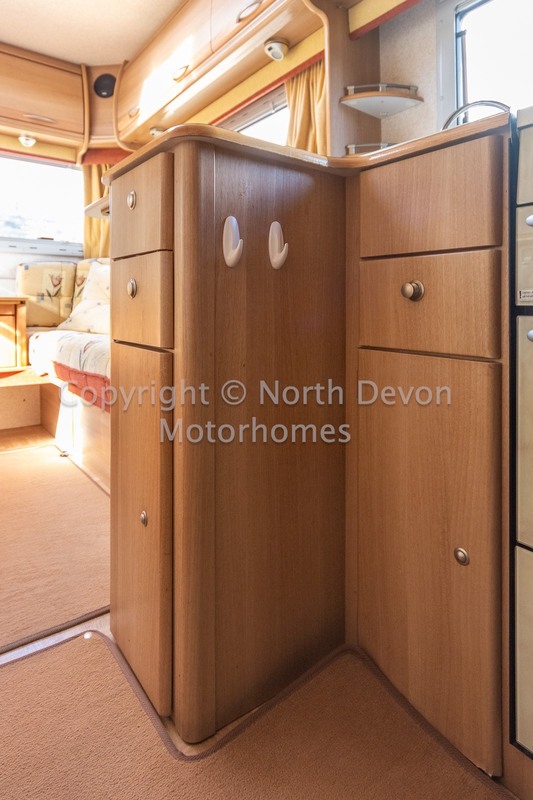 End lounge with centre draw chest, Central L shaped kitchen, Forward washroom, Over cab storage locker. 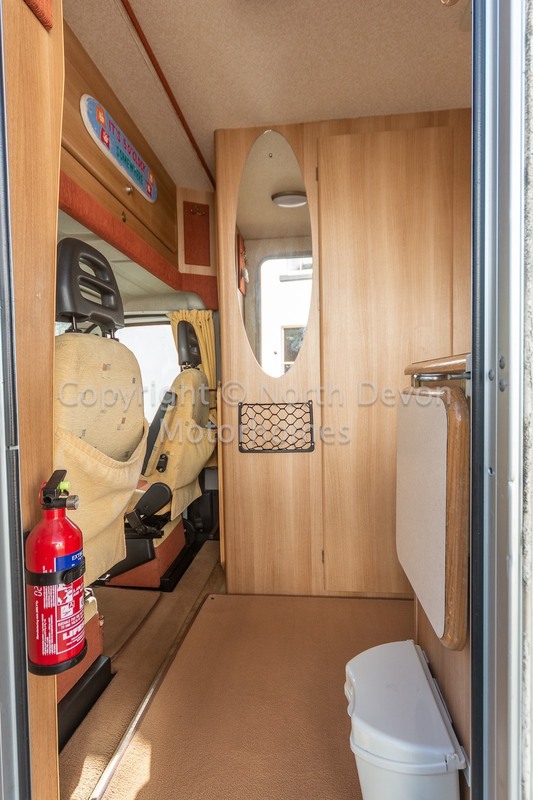 Favoured end lounge, Double glazed windows all round and large Heki roof light providing ample light, TV station, Overhead lockers and under seat storage. 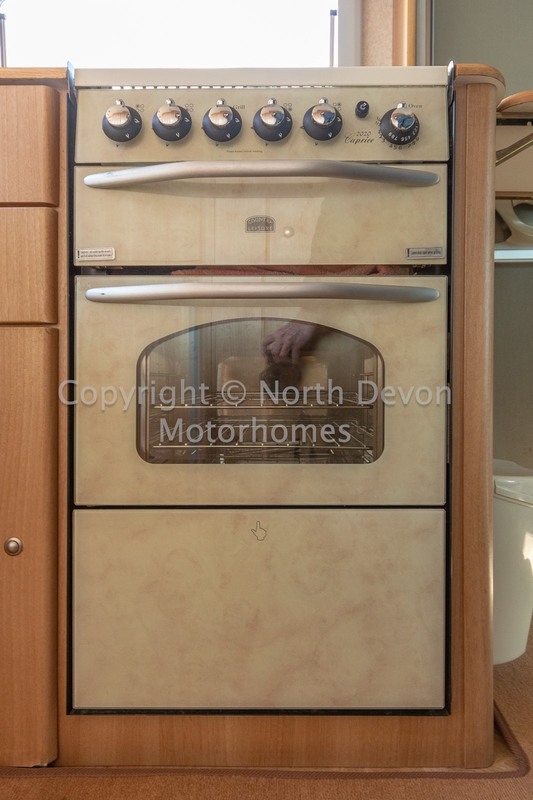 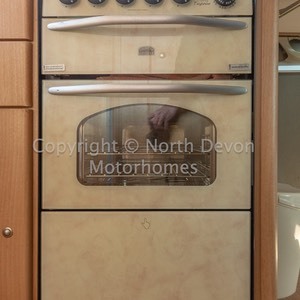 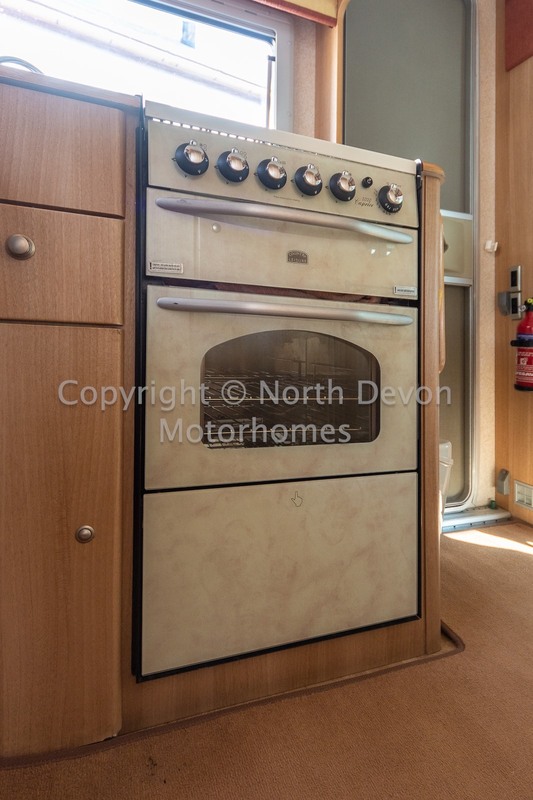 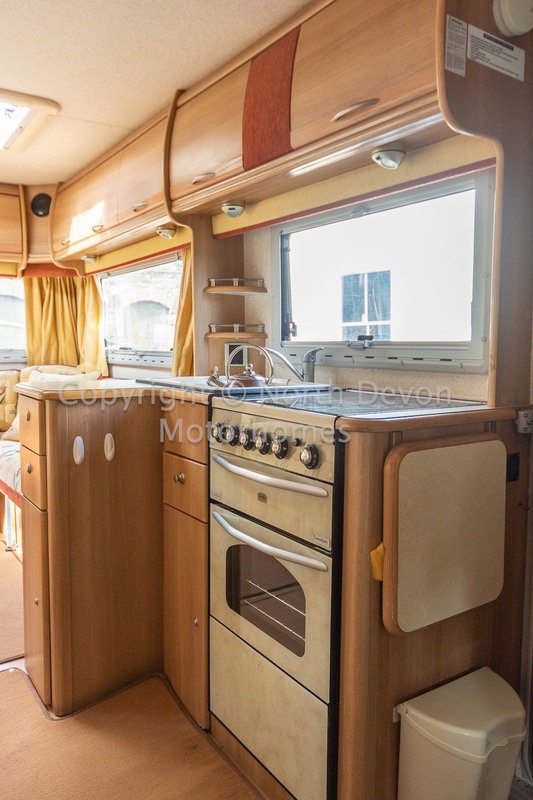 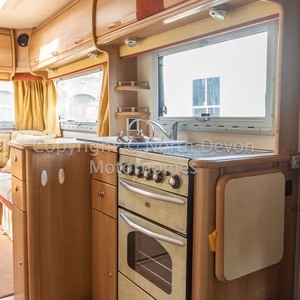 'L' shaped kitchen with 2 additional drop down worktop extensions, 4 Burner gas hob, Separate grill and oven, Good sized sink and drainer, 3 way fridge. 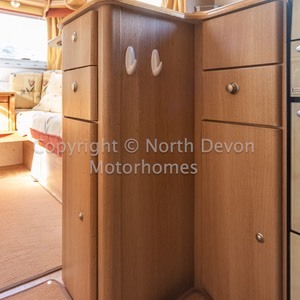 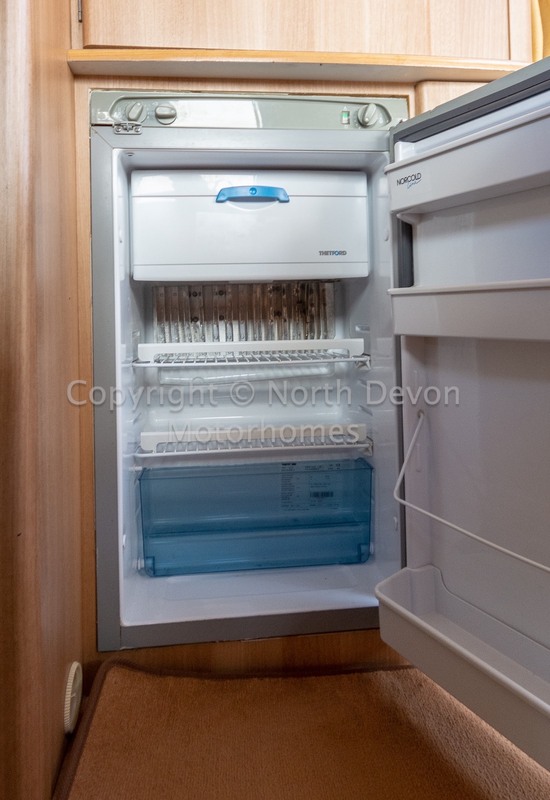 Plenty of drawers and overhead cupboards. 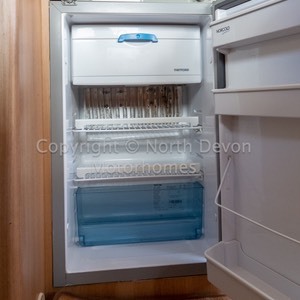 Extractor over kitchen. 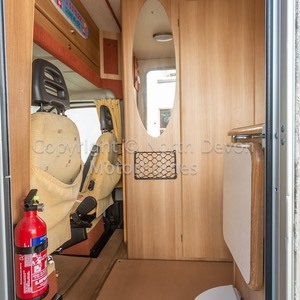 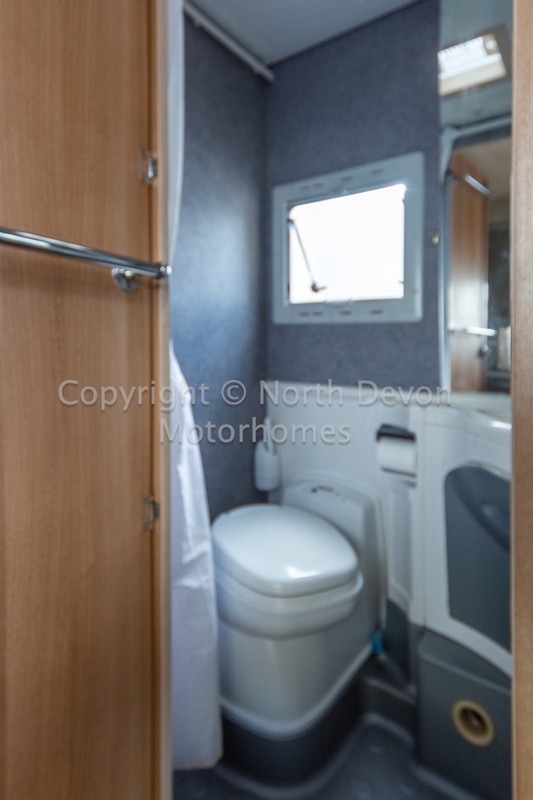 Typically lovely Autocruise washroom with corner sink, mirror and storage, swivel based toilet, shower. 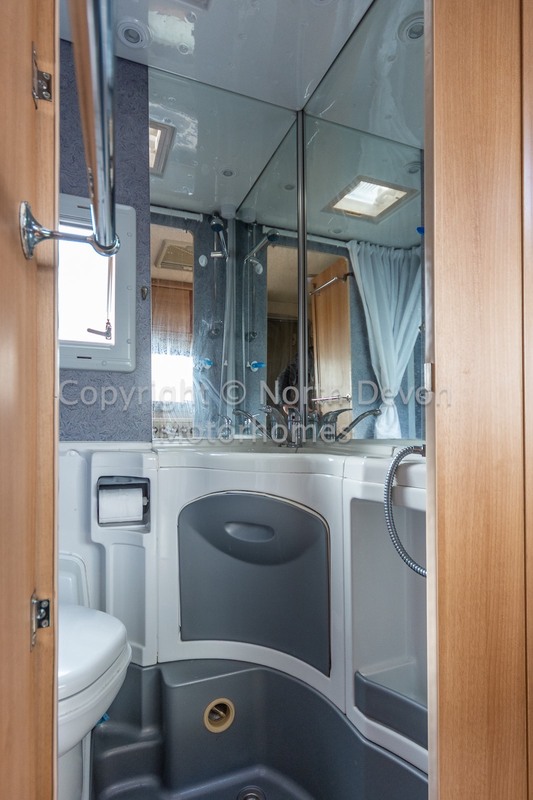 Window blinds and ceiling skylight. 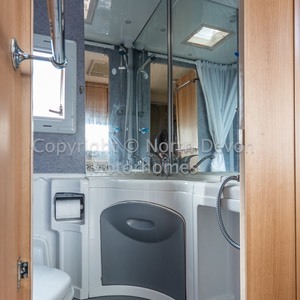 Truma Ultrastore Hot water heater running on LPG or electric, Eberspacher diesel heating system, Fresh and waste water storage, Double glazed windows with nets and blinds. 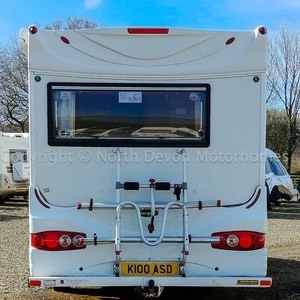 240V hookup and 12V Zig charging unit. 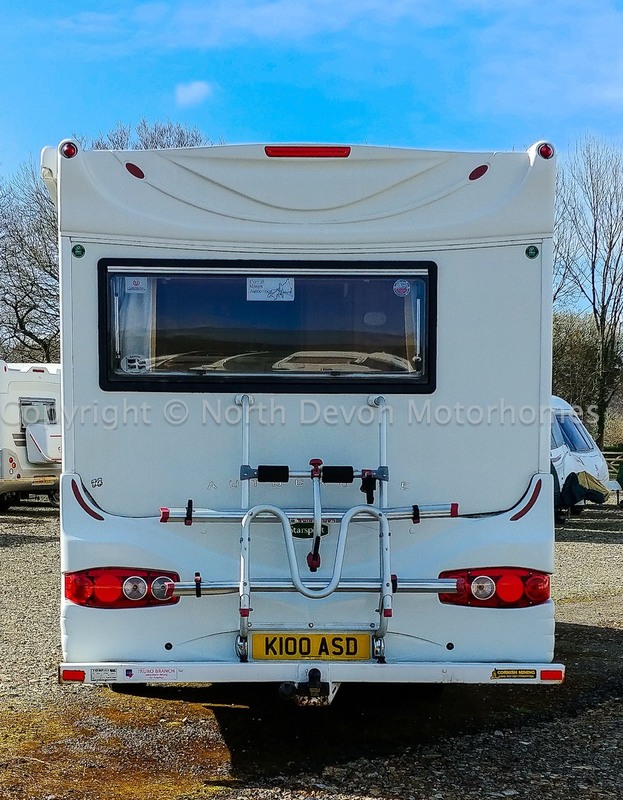 Bike rack, Awning, Electric step, Hab door security lock, Tow bar.